Garlic Meatballs and Pasta is a delicious homemade recipe full of flavor with a delicious sauce.Freezer friendly, quick and easy recipe and great for weeknight dinners! 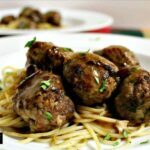 Garlic Meatballs and Pasta is a wonderful tasting dish! 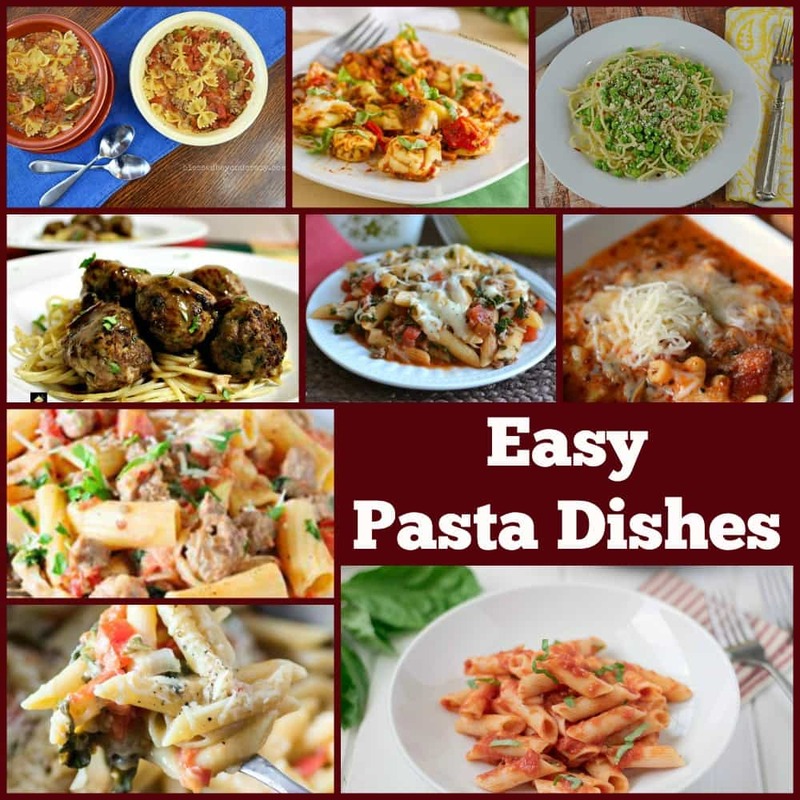 For our recipe challenge this month, we were given a theme ‘Easy Pasta Dishes’ for our group of talented bloggers. Pasta is such a versatile ingredient and there are so many different varieties and ways to cook it that I was spoilt for choice as to what recipe I would come up with. In the end I chose for a delicious tasting spaghetti along with some home made meatballs, using fresh ingredients. The result was fantastic! For all garlic lovers, this is the meal for you! And so we have our delicious Garlic Meatballs and Pasta. For this recipe, I’ve used quite a lot of garlic, and of course, you can tone it down a little if you wish. 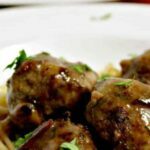 The meatballs are great tasting and freezer friendly too, so if you wanted to make a batch and freeze for a busy weeknight, then these would be ideal. At the end of the recipe you’ll find all the other lovely pasta recipes from our group of talented bloggers so make sure you scroll down and take a look at all the other pasta recipes we have for you today! 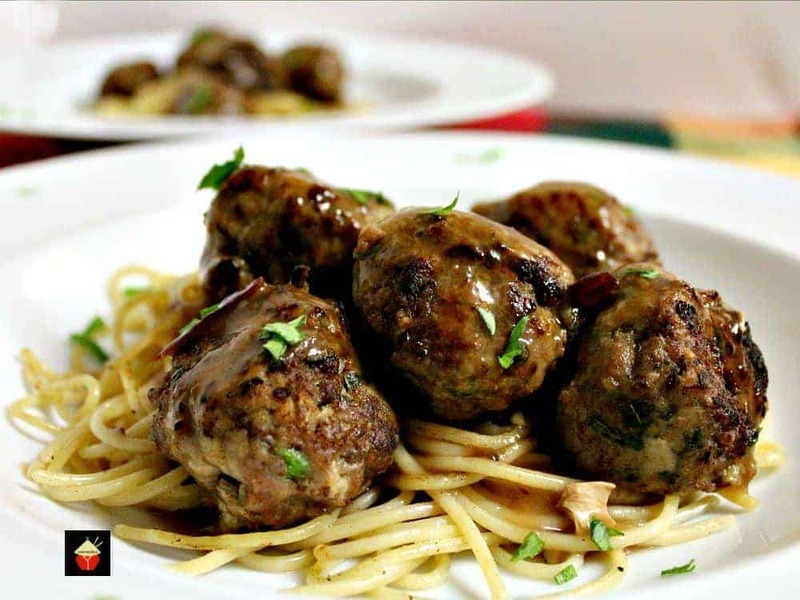 So please enjoy our Garlic Meatballs and Pasta and take a look at all the other recipes too! 1 pound / 500 g Ground beef, or ground meat of your choice. 2 Tablespoons of flour for dusting. As much spaghetti as you wish, cooked and cooled. 1. Firstly, finely chop all the ingredients that need to be chopped. 2. In a large bowl, add all the ingredients and use your hands to mix everything in. Keep mixing for a good 2-3 minutes as this will help to incorporate everything. 3. Dust your hands lightly with flour and roll out the meat into golf ball sized balls with the palms of your hands. Compress as you roll so they don’t fall apart. Lay them out ready for the next step. TIP: It is after this stage the meatballs can be frozen. Wrap in parchment and then place in zippy bags. 4. Add olive oil to a pan and when hot enough, add the meatballs carefully, and turn once they have browned. Keep turning them until they are browned all over. Transfer to a plate and keep warm. 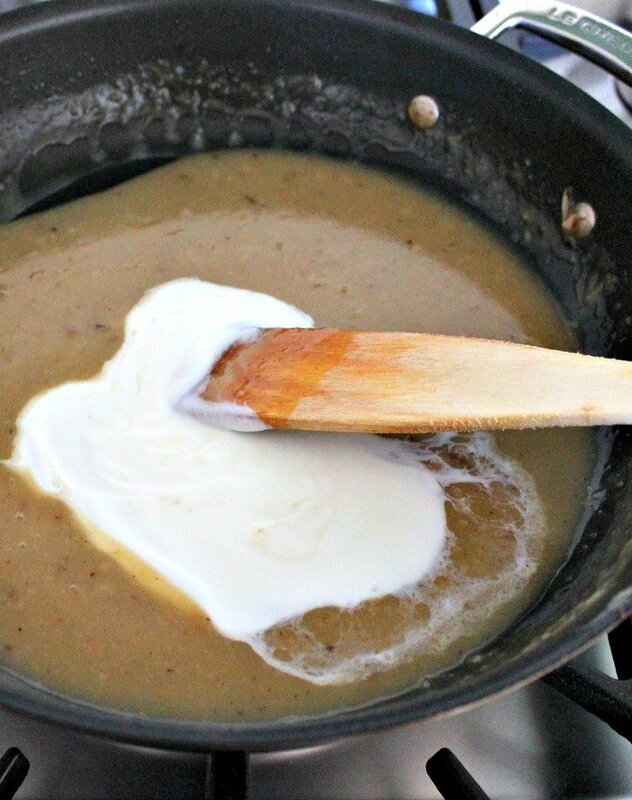 make the sauce by adding the butter and melt, add flour and cook, stirring constantly, until flour turns light brown, for about 2 minutes and it’s all combined. 6. Slowly stir in broth and add the white wine. Add brown sugar and bring to a gentle boil. 7. Reduce heat to medium and cook until sauce is reduced to about 1 cup, about 5 minutes. Stir in yogurt then add the lemon juice and return to simmer. 8. When the sauce has reduced, add the meatballs and stir until all warmed through and the sauce starts to bubble, then add the pasta until everything is completely heated through. 1 pound / 500 g Ground beef or ground meat of your choice. As much spaghetti as you wish cooked and cooled. Firstly, finely chop all the ingredients that need to be chopped. In a large bowl, add all the ingredients and use your hands to mix everything in. 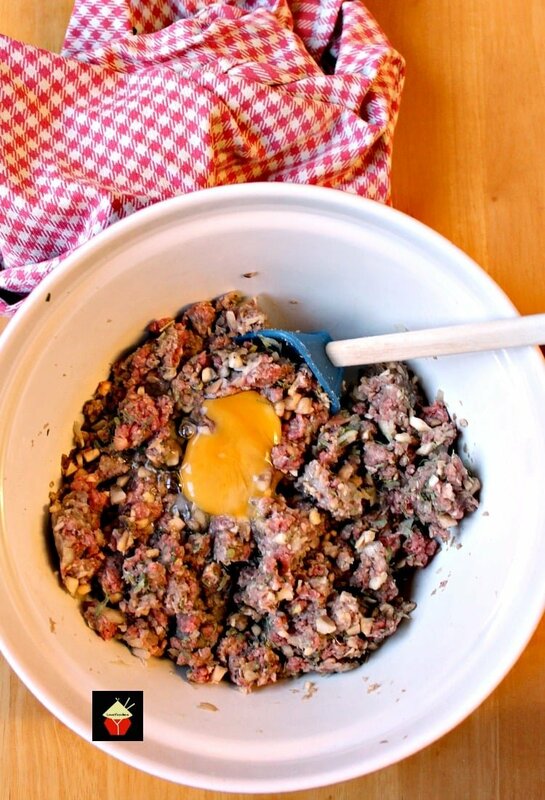 Keep mixing for a good 2-3 minutes as this will help to incorporate everything. Dust your hands lightly with flour and roll out the meat into golf ball sized balls with the palms of your hands. Compress as you roll so they don’t fall apart. Lay them out ready for the next step. 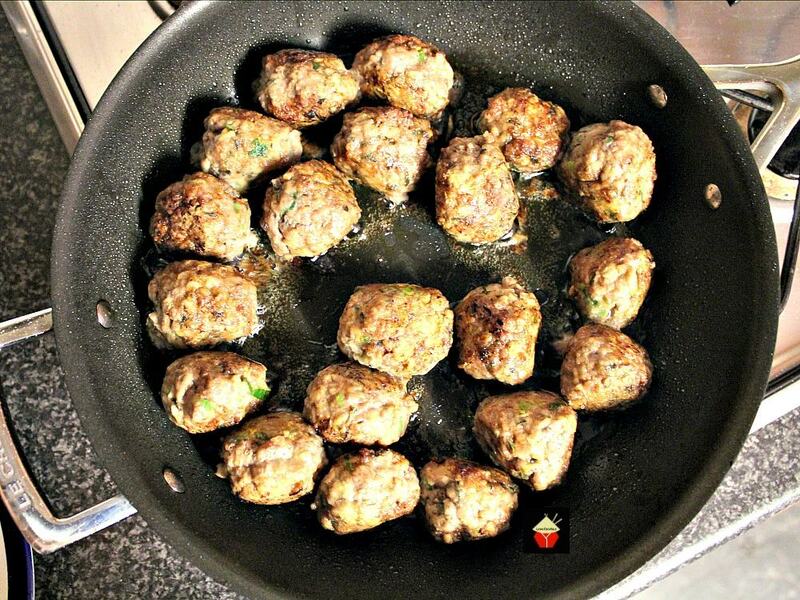 Add olive oil to a pan and when hot enough, add the meatballs carefully, and turn once they have browned. Keep turning them until they are browned all over. Transfer to a plate and keep warm. Reduce heat to medium and cook until sauce is reduced to about 1 cup, about 5 minutes. Stir in yogurt then add the lemon juice and return to simmer. When the sauce has reduced, add the meatballs and stir until all warmed through and the sauce starts to bubble, then add the pasta until everything is completely heated through. 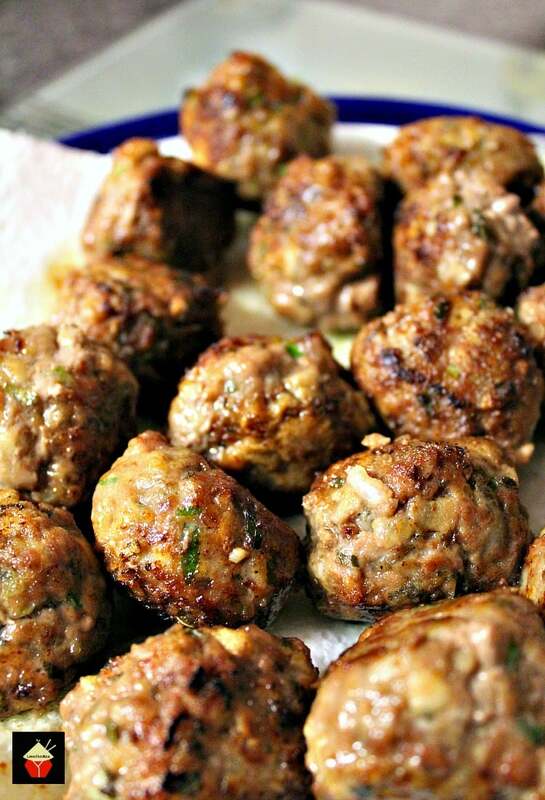 These meatballs are just GORGEOUS! I bet the garlic gives them absolutely wonderful flavor. I’ll be putting this one on my “must try” recipe list. Lemon juice? In recipe but not ingredients list? Thanks for spotting that! I’ve edited the recipe so it is correct. Please enjoy! 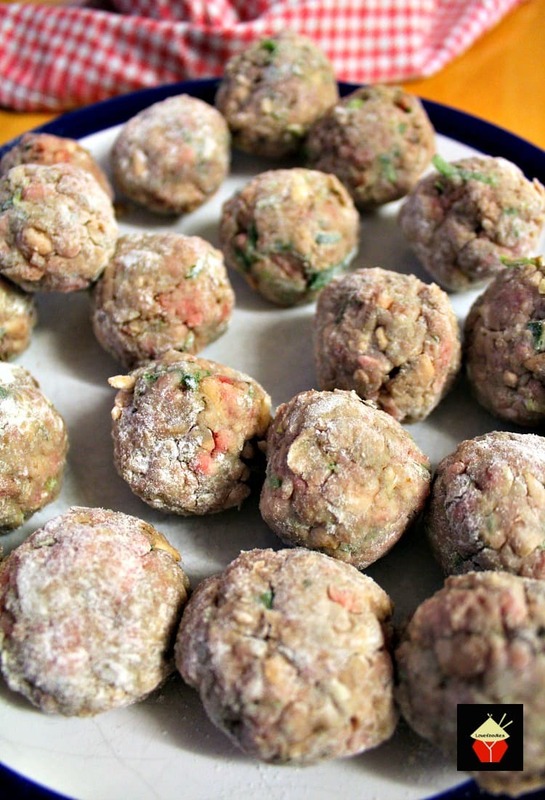 I’ve been on a meatball kick lately, adding these into the menu they sound amazing! There is nothing like a great feast of spaghetti and meatballs!! This looks wonderful! These meatballs look amazing! I know my family will love them! And all that pasta comfort-food goodness looks so yummy! 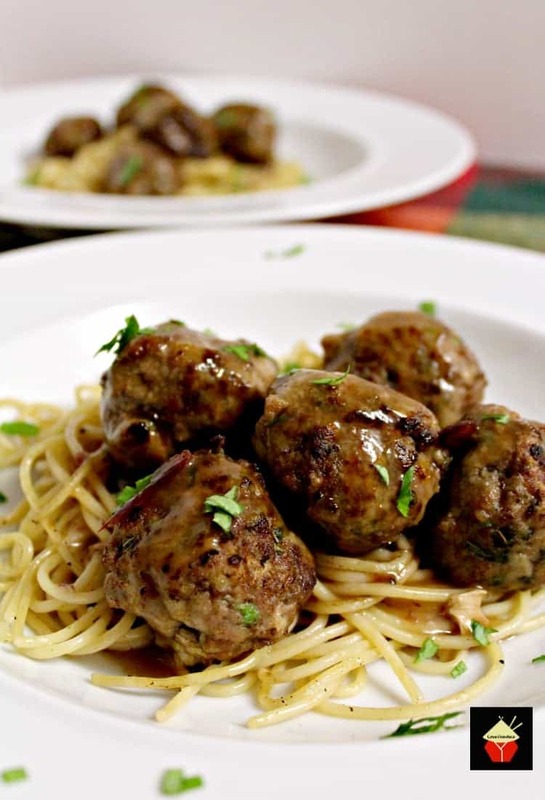 These meatballs look so tasty and so does the sauce. This is the ultimate comfort food. Mary, this looks delicious! I love pasta sauce made with wine so I will definitely be giving this one a try!